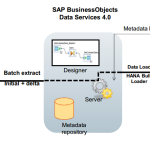 SAP BODS (SAP Business Objects Data Services)allows one to extract and integrate data for analytical reporting and e-business. SAP BODS combines industry-leading data quality and integration into one platform. One of the fundamental capabilities of Data Services is extracting, transforming, and loading (ETL) data from heterogeneous sources into a target database or data warehouse. 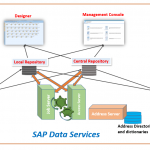 SAP BODS is very flexible with a web-service based application. 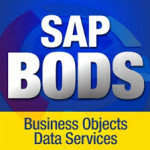 SAP BODS consists of several components including Designer, Job Server, Engine, Repository, Access Server, Administrator. Who can learn SAP BODS? Knowledge in development or database administration (you should have knowledge on data extraction, data warehousing, data integration and data quality). Knowledge in DBMS, business intelligence and e-business messaging concept. You should understand organization’s data need. Knowledge of SQL (Structured Query Language).